May be you guys are asking, why this is want to know where is the land of Bagmati River? Bagmati river is there and the water is flowing over it. Do you think what is seeing now is only the part of the river? 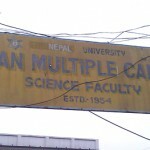 I live in Kopundole near the Bagmati river bridge. I have been seeing this river since childhood and I have an emotional attachment with this river. We used to go there to play swimming may be 20 years back. It was clean till that time, but look at the face of the river after 20 years. It is a holy river for all the Hindus as it flows by the Pashupati Nath Temple. If you show the condition of the river to some tourist, I am sure they will ask you, “Do you call this river a holy river”. Any way the thing I want to talk today is not about how clean is river or why we call is Holy River or should we stop calling Holy River. This river has been attacked by ever one. 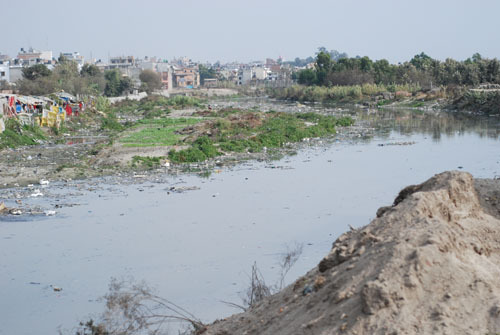 Firstly it was attacked by the municipality by dumping all the waste product to this holy river and making it look worst. Now the recent attack I have seen is by the so called homeless people. The river banks have been captured by them. They have been living there with tents, but now I see some solid house. I heard once that government used police force to drive them away and they were gone for some time, but now they have again seized the Bagmati banks. 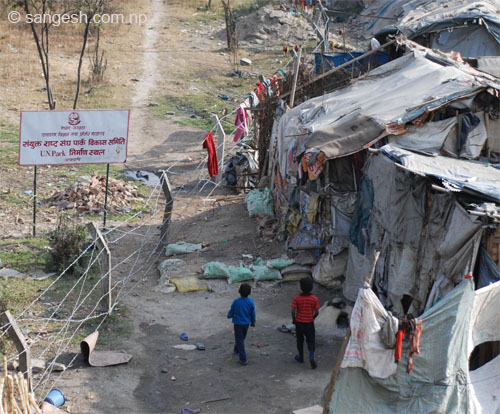 They are cultivating vegetables, build school with bricks house and the government is not taking any action. The issue is not just that the river banks are captures, but by such act we are inviting another big natural disaster in that area. Hope everyone of are aware of what our grandparents used to say us when we were children,” Never play with Fire and Water, they are too dangerous and act fearfully in certain occasions”. The recent disaster we saw from water was the Koshi flood, and the whole nation is still facing the problem brought by that. Land transportation is totally closed, we need ferry to cross the river, due to that flood many electric poles are out of use, and the electricity Nepal buy from India is not supplied to Nepal and we are forced to face 10 hours load shedding right now. We see less water in this river now, so may be they have thought it is a good place to live. But who knows about Nature. When will these rivers get fearful? We don’t know. I remember may be 6 years ago there was a big flood in Bagmati. What will happen to these people when such flood once again comes in this river with out giving any hint to them at night while they are sleeping? How many people will loose their life? These people also should think of their life. 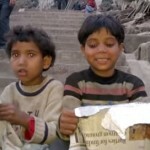 May be they have their own problem, why would people risk their life and stay live with such condition. Now we are quiet, I have not heard any one raising how to displace these people from river bank and save the river banks from unauthorized capture. In future if something bad happen to these people by natural disaster then everyone will shout at the government why they did not take safety measure in past. They will blame the government on the loss of life of these people. 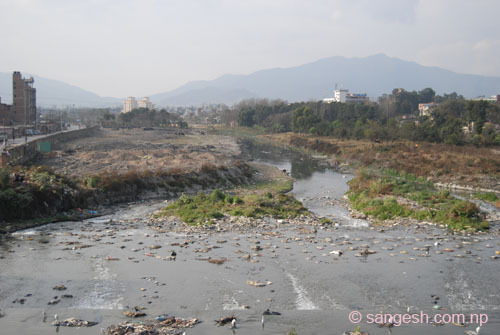 We need to preserve the river banks of Bagmati; we need to work on how to conserve the river. How to make is clean. There has been some awareness programme to save Bagmati, every year one organization do rafting in Bagmati to aware people to save Bagmati. 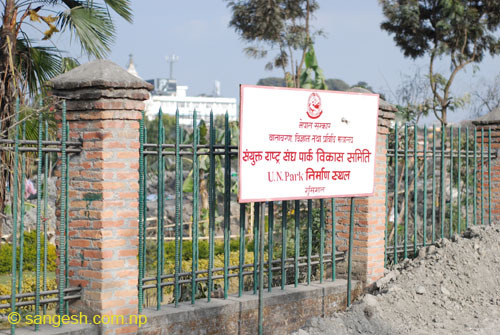 United Nations with Nepal Government have created parks so that river banks also get safe, people get place to visit for relax, or morning walks. We can see green tress there which is really important of concrete cities like Kathmandu where it is hard to find open place now. But my second thought says, is it right to capture the Bagmati land and make it Park? What you guys think in this issue? Don’t you think that rive needs it’s space to flow, they can act fearful anytime. 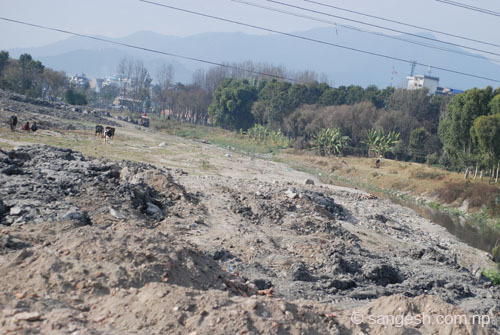 Soon we will see Trees here, it is also Bagmati’s land now United Nations Park. In recent years, the government has made a road on the banks of the river to reduce the traffic in main roads and make this road as an alternative and short cuts. 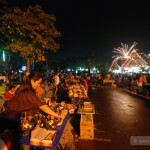 It is good for us as we have many options to use the road and choose from where we can reach fast to our destination. Hope while making this roads, they have studied the effects of the road on the river. Hope that in future any big flood will not take the roads away. Every time when I see this river, its banks I just feel sorry for myself. Every time I see that the river width is getting short and the land is increasing and people are capturing them. We need to act now to save our holy river, we need to raise our voice and make the government hear about is and take the necessary action on these people who are living in river banks. They should take action on people who have illegally capture the river’s land. 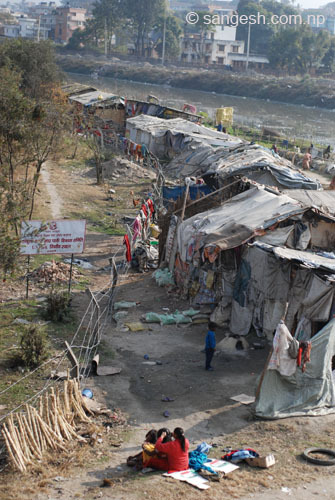 We need to act now to not to be the eyewitness of another natural disaster in Bagmati. I wish i can see lots of water in this river once again, let’s make it our pride like the Thames River in London. Brick house made by the homeless people. Guess what, if he can make a brick house, can’t he live in a rented rooms. 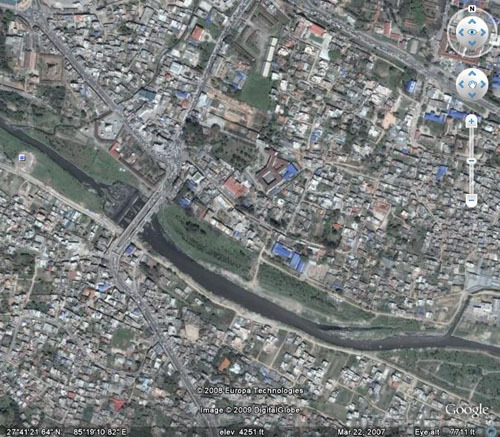 Bagmati must be asking to herself “where is my land”, see how narrow the river is flowing. 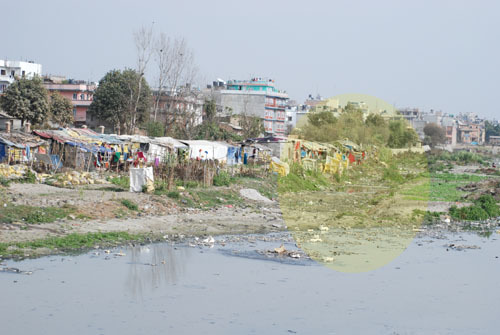 Work in progress for park, see how narrow the river flows at western side of bagmati bridge in Kopundole. yes, its a nice post about Bagmati River. I used to go to college at kupondole, and I was afraid and shocked by the condition of river. I’m from sarlahi and we all people survive on Bagmati River. Every crops has been irrigated by water of Bagmati and there Bagmati looks so clean and clear. Sad but true..Hope someday it will get cleaned. ho bhanya, bagmatiko durdasha bhaisakyo. Pakh sangesh, ma nepal auchhu ani ta-hami sab milera ti sukumbashiharulai kutera lakhetnu parchha. 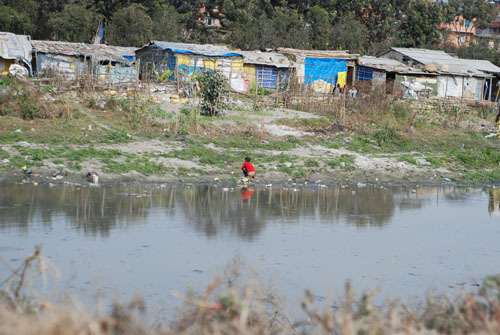 How about solve the slum problem in Nepal first and then talk about beauty of Bagmati river. 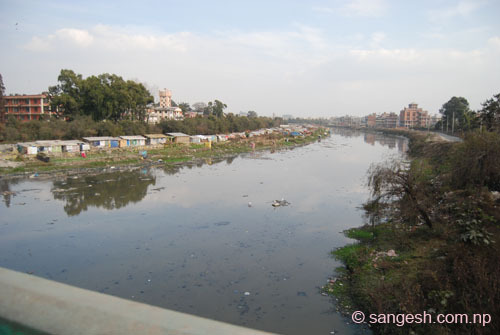 Its necessary that Bagmati river be cleaned, but don’t blame the slum area and the homeless! They’ve no where else to go! 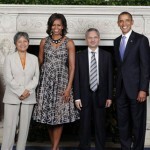 however you could have described the fact elaborated manner……. Agree with you. Bagmati 20 years ago and then seems different. 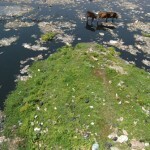 people are facing various environmental problems. 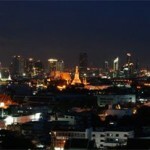 The growing population demand more volumes of water but there is lack in supply. Who is responsible for this ? we all are responsible for this. Unsystematic urbanism and compromise with our need to garbage the wastage into beautiful natural sites bring us to this stage. The area of the river becoming narrower. Not only that people without hesitating continue to throw the garbage on streams of the river. No Governing body monitoring and control on it. Now time has come that people have to think on this matter seriousely and take concrete action. I am from a village by the bank of this River in Sitamarhi district of Bihar, I have seen this river since child hood and played in it, I along with friends used to swim hours and hours, many times used to drink the same water but now after seeing the condition of it and that to at the very early stage were it takes birth just 15-20 kms, I aso had the dreams to visit the birth place of the Holy river Baghmati But after seeing the condition it was shame full for the complete human generation that what we got from the nature for us and what in turn we are giving to them, one or the other way it also shows the level of coruption in our present society, as we have enough funds for cleaning amd maintaining of the river but only on the paper and not on the ground. The time has come when we shuold undersatnd the importance of nature to us or it will be to late, it is not only the Government but we have to start at grass root level. So let us think again. Great job …who ever u r…. keep on going on the same path…. 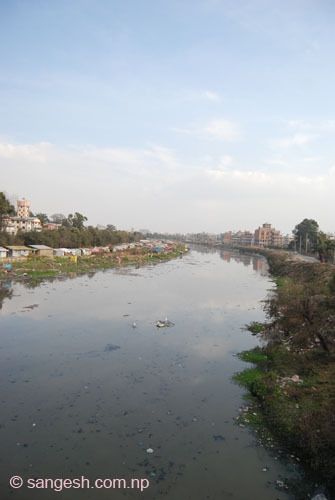 LOT OF THE IMPROVEMENT SEEN ON BAGMATI TODAY. THE EFFORT OF “High Powered Committee For Integrated Development Of The Bagmati Civilization” AND OTHER PEOPLE WHO ARE INVOLVED IN THE CLEANING PROGRAM IS HIGHLY APPRECIATED AND REMARKABLE.